Offering you a complete choice of products which include ariscab lotion, chlorhexidine sodium fluoride and zinc chloride mouthwash, medicated anti-dandruff shampoo and sucralfate and povidone iodine ointment. 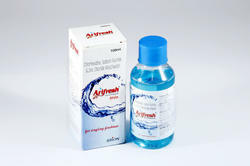 We are offering Chlorhexidine Sodium Fluoride and Zinc Chloride Mouthwash. 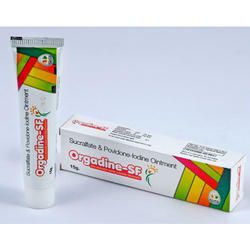 We are the leading and prominent Manufacturer and Supplier of Sucralfate and Povidone Iodine Ointment. Our clients can avail from us a wide range of Ariscab Lotion, as we are engaged in offering these products in small as well as in bulk. These lotions are well processed under the safe and hygienic conditions. These are highly effective and have high medicinal value for various treatments. We offer them at nominal rates. We are the number one company for providing Medicated Anti Dandruff Shampoo to our clients. It is skin friendly and regular use of this range removes the dandruff permanently. 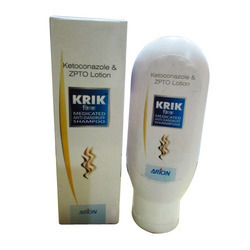 It is formulated using supreme class ingredients under the guidance of skilled professionals.To meet various requirements of clients we offer Lotion in assorted packaging options. 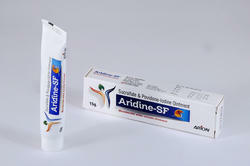 We are the leading and prominent Manufacturer and Supplier of Sucralfate and Povidone Iodine Ointment to our clients.